The Aquarium recently celebrated National Volunteer Week. In 2013, our 938 adult Aquarium volunteers and interns donated over 100,000 hours towards our mission of protecting the blue planet. In posts all week, we're highlighting some ways that people donated their time to the Aquarium. Today's post profiles volunteer Liz Burmester. Coral reefs are one of the world’s most fragile and important ecosystems. However, worldwide, coral reefs are declining at a precipitous rate due to a host of local causes (such as overfishing and pollution) and global impacts (like climate change and ocean acidification). As a graduate student at Boston University, I work with professors at BU (Drs. John Finnerty and Les Kaufman) and Dr. Randi Rotjan at the New England Aquarium to address questions about the health of corals and their ability to recover from stressors in our changing world. When most people think about corals, they think of sunny locales and warm tropical breezes. However, many aren’t aware that there are corals in our own local (and temperate) coastal environment! It is this special species—the Northern Star coral—that is the center of my research, and the research of the Rotjan Coral Lab. 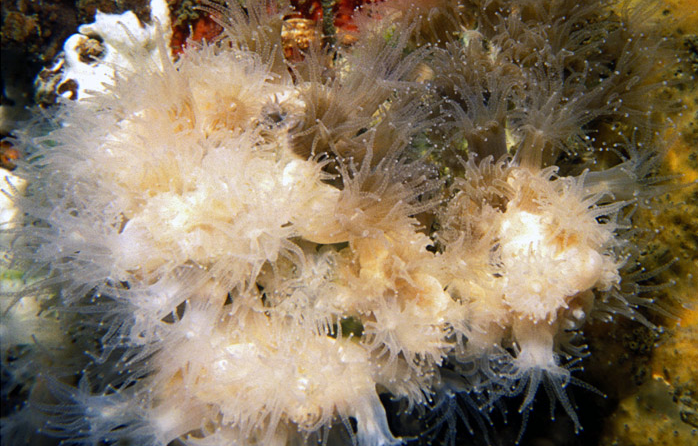 The Northern Star coral, or Astrangia poculata, seen here with polyps extended, is a unique cold water coral that occurs in Woods Hole, MA, with (brown) and without (white) symbiotic algae. The Northern Star coral (Astrangia poculata) is an interesting study organism in a number of ways. First, it has an incredible geographic range, extending from Florida and the Gulf of Mexico all the way up to Cape Cod (making it one of the most northern species of coral on earth!). Second, and most importantly for my work, it has a unique relationship with a species of symbiotic algae that lives inside of its tissue. In most corals, the relationship between the coral host and their algal symbionts (Symbiodinium sp.) is fragile and obligate, and corals obtain up to 95% of their energy from these algae. Under stressful conditions, these algae can be expelled from their hosts, causing the coral to appear white because you can see the white skeleton under the clear tissue (coral bleaching). This can be fatal to the coral if it is unable to take in new algal symbionts. However, the Northern Star coral has a facultative relationship with its symbiont, so it can live in stable conditions both with this algae (appearing brown) or without this algae (appearing white). This special relationship gives us the opportunity to study the coral in healthy or stressful conditions (for example, where temperature is higher or lower than normal) and observe how corals can handle these stresses both with and without these important algal symbionts. 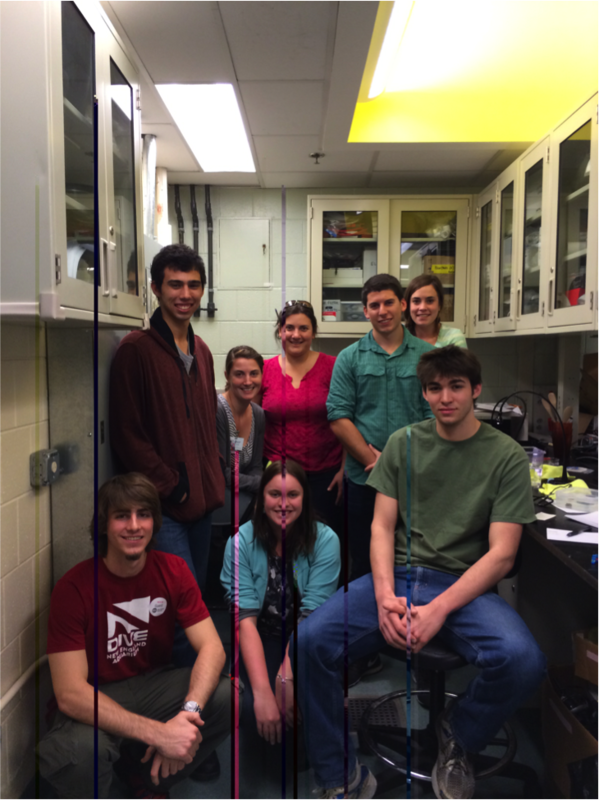 Interns and volunteers in the Rotjan lab assist with and take on their own projects and experiments to help explore the biology of this fascinating coral. In the end, hopefully what we learn from the Northern Star coral can be applied to aid conservation efforts in the tropics and across the globe.